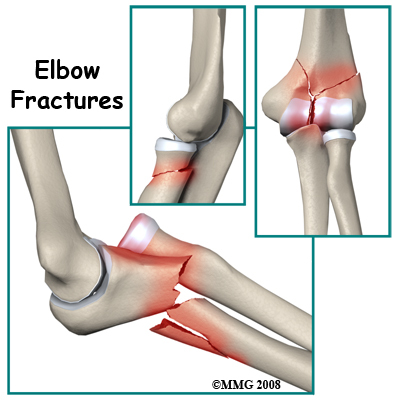 Welcome to Barkman & Smith Physical Therapy's patient guide on elbow fractures. How do fractures of the elbow commonly occur? The complicated anatomy of the elbow joint is reflected in a wide variety of fractures that can occur in this region. Each of these injuries has its own "personality" and will be presented separately. 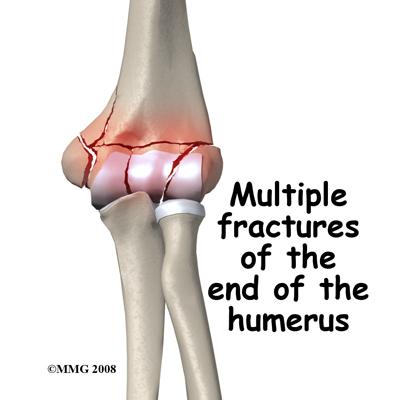 Fractures not involving the joint surface: These injuries have a good prognosis because the joint surface is still intact. There is less likelihood of long-term wear and tear of the joint. Supracondylar fractures. These injuries affect the area shaped like an inverted Y just above the joint. Severe bending forces, hyper-extension (over straightening) forces, or impact can break the bone in this area. Accurate reduction of the fracture is important otherwise the mechanics of the elbow will be affected. It is difficult to keep these fractures in a good position in a cast. For this reason it is common for this injury to be treated surgically to put the pieces back into a good position (open reduction) and hold them with pins or plates (internal fixation) until they are healed. This operation is often referred to as open reduction, internal fixation surgery (ORIF.) Fractures in the supracondylar region are much more common in children. Major trauma such as a motor vehicle accidents are probably the most common cause of this type of fracture in an adult. This fracture is of special concern because the radial artery courses very close to the bone in the supracondylar region and can be torn when the bone breaks. 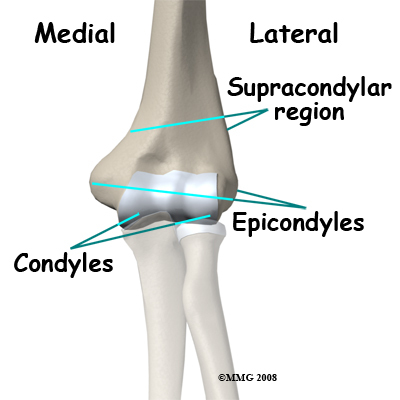 Avulsion of the medial epicondyle: The medial epicondyle is the origin site of the strong medial collateral ligament of the elbow and the flexor muscles of the forearm. A force that bends the elbow outwards may dislocate it and disrupt the ligaments on the inner side of the elbow. This may result in an avulsion (pull-off) fracture of the medial epicondyle. The medial collateral ligament pulls off a fragment of the bone. As the elbow may be opened up widely in such an injury, the piece of bone broken off may end up trapped inside the joint. In this case it is necessary to do an operation to extract the bone fragment from the joint and fix it back into place. More commonly the avulsed piece of bone is still close to its correct position and the injury can be treated non-operatively. Avulsion of the medial epicondyle as a result of a muscle pull is rare. This injury can usually be treated without surgery. Avulsion of the lateral epicondyle: This region of bone is the site of origin of the lateral ligament of the elbow and the extensor muscles of the forearm. A force that bends the elbow inwards may tear the ligaments or pull off the epicondyle. This is a rare injury that occurs most often in combination with other more severe injuries to the elbow. Avulsion fracture of the epicondyle in which the muscles pull off a piece of bone is also very uncommon. Breaks of the humerus extending into the region of the bone covered by articular cartilage are called intra-articular fractures. They carry with them a more serious prognosis because an irregular joint surface will promote post-traumatic arthritis in the long term. The aim of management with this injury is to restore smoothness to the joint surface whenever possible. Fracture of the Capitellum: This is the rounded end of the humerus on the outer side of the elbow. It forms a joint with the radial head and is important for the stability of the joint. 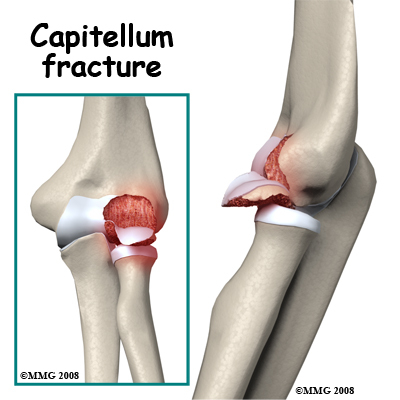 A piece of the capitellum can be broken off when the elbow is dislocated or when force is transmitted up the radius as a result of a fall on the outstretched hand. The floating piece may jam in the joint, limiting movement. The irregular joint surface may cause long-term wear. 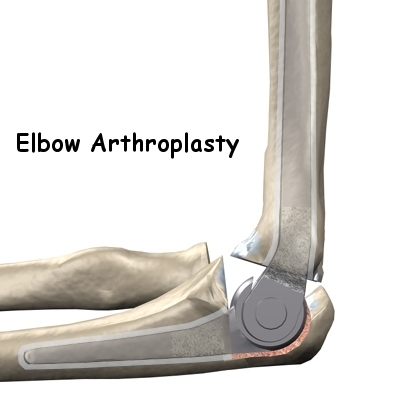 It is often necessary to operate on the elbow to retrieve any loose pieces following this fracture and it is sometimes possible to fix them back in position. 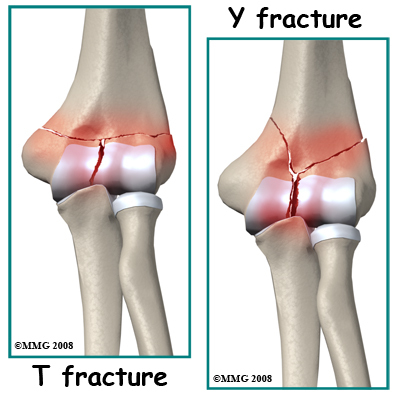 T or Y Fractures. The lower part of the humerus divides into two columns that support the joint. If you sustain a blow on the elbow, a common fracture pattern is for the columns to be broken and the fracture to extend into the trochlear region of the joint forming a T or Y pattern. Smash Fracture. More severe forces on the elbow may cause multiple fractures to the end of the humerus. The joint surface may be in many pieces and some of the bone fragments may lose their blood supply. This is a difficult situation to manage but the best results come from an ORIF surgery, restoring the joint surface, and fixing it rigidly to allow early movement of the joint. 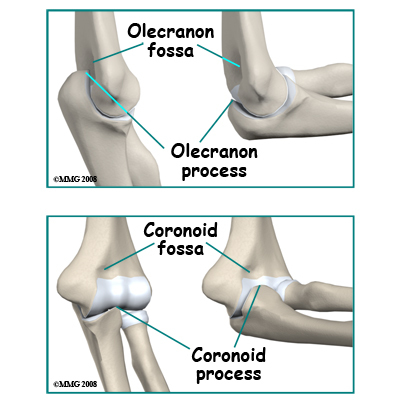 Olecranon and coronoid process fractures are two common isolated fractures of the proximal ulna; both may be considered avulsion fractures. 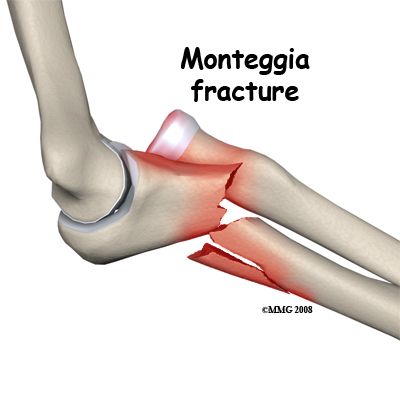 The Monteggia fracture is a combination injury with dislocation of the elbow (radial head) and a fracture of the ulna. The ulna is often involved in combination fracture-dislocation injuries that involve than one bone at the elbow. This fracture is discussed further below. The triceps muscle straightens the elbow by pulling on the olecranon. If you fall the muscle may be contracting to straighten the elbow but the force of the fall is great enough to make the elbow bend anyway and in this situation, something must give way. Often it is the bone of the olecranon process. A transverse fracture into the joint is the common pattern. An impact on the point of the elbow may result in a complex fracture where the bone breaks into multiple pieces. This injury is significant because the joint surface is involved. The usual treatment is surgery (ORIF) to line up the fragments exactly, make the joint smooth again, and fix the fracture fragments until they heal. 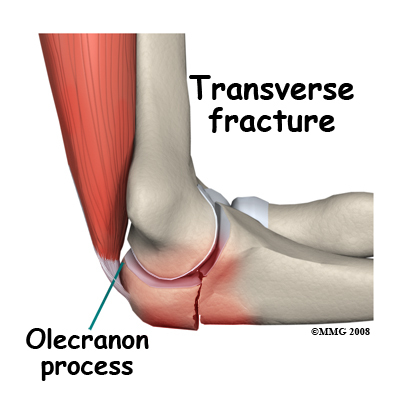 Olecranon fractures are quite often seen in combination with other elbow injuries. 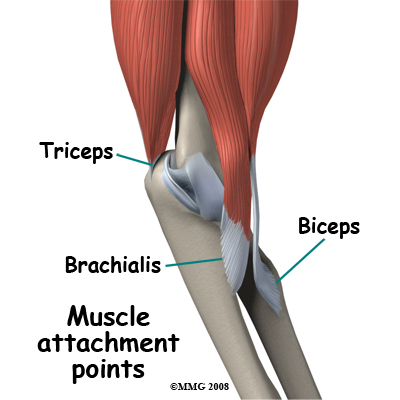 The brachialis muscle acts to bend the elbow and attaches to the coronoid process at the front of the ulna. 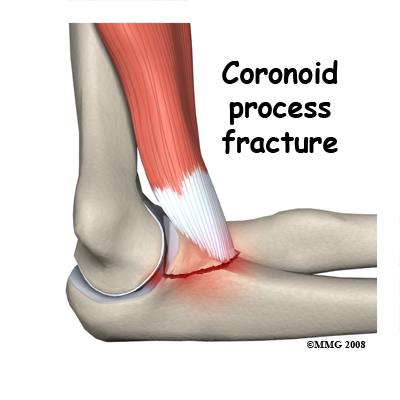 When the flexed elbow is suddenly loaded this muscle may pull so hard that it pulls off the coronoid process. If this is an isolated injury and the fragment is not displaced it may be treated non-operatively even though the fracture goes into the joint. When this injury is combined with elbow dislocation and a radial head fracture it has a poor prognosis. Monteggia Fracture. This fracture pattern involves dislocation of the radial head combined with a fracture of the shaft of the ulna. The mechanism of injury can be a fall with the elbow straight or a bending force on the upper part of the forearm. The shaft of the ulna breaks near the joint. There is a spectrum of damage to the radial head ranging from ligament damage only, through to joint surface damage right up to a fracture of the neck of the radius. Restoring the ulna to its correct length and orientation is the critical element in treating this injury and making the elbow stable again. For this reason an ORIF surgery on the ulna is usually undertaken in adults. The treatment of the radius depends on the extent of the injury. Fractures of the shaft of the radius are not discussed here. Fractures that directly affect the elbow joint are discussed below. 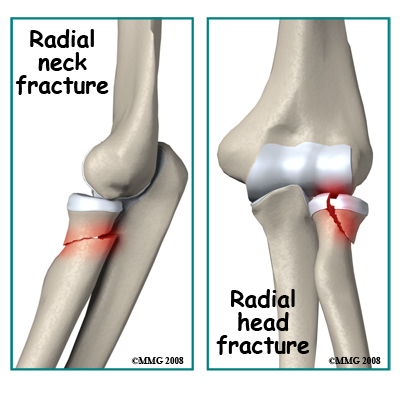 Radial Neck Fractures: Longitudinal compression forces such as those resulting from a fall may cause a transverse fracture of the radial neck just below the head of the radius. A variable amount of compression and skewing of the bones can occur. A direct impact on the elbow may also cause this fracture. Due to the importance of the radial head in the functioning of the forearm, skewing of the bones as a result of this injury may limit forearm rotation. Also, due to the radial head being covered by articular cartilage a fracture through the neck region may deprive the radial head of its blood supply. Radial Head Fractures. Axial forces compressing the radial head against the capitellum cause these injuries. This may happen with a fall, especially with the elbow slightly bent. The result is a fracture with a depressed segment of the radial head. The broken segment is most likely deprived of its blood supply. Treatment depends on the extent of the injury and the degree of displacement and angulation. The more severely displaced fractures may be treated by surgery. Many of the more severe elbow fractures involve more than one of the parts of the bones of the elbow. Combinations of capitellum fractures with radial head or neck fractures are common as are combinations of intra-articular fractures of the distal humerus with fractures of the ulna. In general these combination injuries make the prognosis worse and increase the likelihood that the best treatment for the fracture will be surgery. The bones of the elbow are near the skin. High energy injuries to the elbow joint quite often result in the broken bone ends tearing through the skin. This means that the bone and often the joint become contaminated resulting in a high risk of infection. Regardless of the fracture pattern, these injuries are treated by a debridement surgery to wash the dirty tissue and remove any tissue that is contaminated or dead. This type of surgery may be followed by reduction and fixation of the fracture fragments (ORIF) but avoiding infection is the first consideration and some surgeons prefer not to disturb the blood supply of the area by further surgery. Others feel that there is less likelihood of infection if the fracture fragments are immobilized. Some open fractures are so severe that part of the bone is lost. This is typical of gunshot wounds or blast injuries. There is a real risk of losing the arm in these types of injuries as they may be accompanied by damage to nerves and blood vessels and may be heavily contaminated. Saving the arm by restoring the blood supply and careful removal of all dead tissue including bone and joint fragments is the first priority. Reconstructing the elbow after the risk of infection has passed is a difficult problem, which is approached on a case-by-case basis. 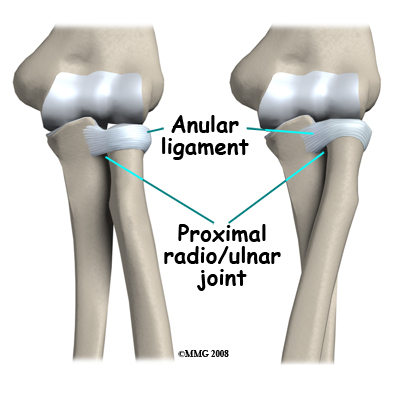 The options are to accept the damaged joint, to fuse the joint so it is painless, or to plan for an artificial joint. What symptoms do elbow fractures cause? Severe pain in the elbow following an accident is the typical symptom of an elbow fracture. Rapid swelling of the elbow joint will often follow the injury as the joint fills with blood from the broken bone ends. The elbow will be tender and movement is likely to be very painful. The patient will often hold the arm close to the body to prevent movement. Any wounds in the region of the elbow joint should raise suspicion of an open fracture. Numbness of the forearm or hand may indicate an injury to one of the nerves at the elbow. After treatment there will continue to be symptoms of pain, tenderness, reluctance to move as well as pain on motion, swelling, and bruising. These symptoms are caused by tearing of the muscles and by bleeding into the joint and tissues. They resolve slowly in the weeks following the injury. Immobilization in a cast reduces some of these symptoms, such as pain on moving the elbow, but may increase others such as stiffness of the joint. First aid for elbow fractures would consist of dressing any wounds, making sure that the nerves and blood vessels to the hand are intact, and splinting the arm. If the patient is holding the elbow flexed then a standard sling may be applied. Otherwise it may be a good idea to splint the elbow in its current position. The patient should be treated for shock and transferred rapidly to hospital. In the Emergency Room (ER) the focus will be on diagnosing the nature of the elbow injury, making sure there are no other injuries, treating pain and shock and obtaining an orthopaedic consultation. The ER staff will remove clothing from the arm so it can be completely examined and this may mean cutting off your clothing. The position of the fracture may be identified by gentle palpation of the elbow and the nerve and blood supply will be examined. Any wounds will be dressed. The x-ray evaluation will normally consist of two or three views of the elbow. The orthopaedic consultation will usually take place after it has been established that you have a fracture. The orthopaedic surgeon will evaluate your general medical status, examine the arm and evaluate the x-rays. The treatment options will then be discussed with you with consideration being given to your overall medical status, your expectations, work and sports activities, and your preferences. If the fracture is complex the surgeon may order investigations of the elbow such as a Computerized Tomography (CT) scan or Magnetic Resonance Image (MRI) to get more detail of the anatomy of the fracture. For the reasons outlined above, surgery is often the treatment of choice for many elbow fractures. However, some elbow fractures do not require surgery and can be treated in a cast. Non-displaced fractures of the medial epicondyle, lateral epicondyle, or the coronoid process can be treated in a cast, as can fractures of the radial head or radial neck that are minimally displaced. The cast serves to protect and immobilize the joint until healing reaches a stage where it is safe to begin elbow movement. 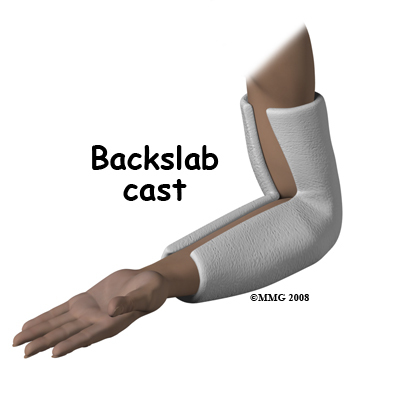 The cast is usually applied from above the elbow to the wrist. 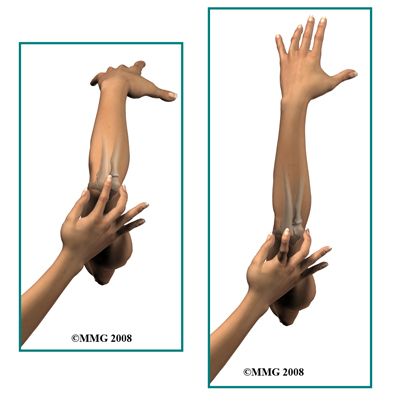 If it is necessary or desirable to prevent rotation of the forearm then the wrist should be included in the cast. Often this is not necessary and a simple splint bent at the elbow is enough. There are also many commercially available braces that can be used in place of a cast. Braces and splints allow the arm and elbow to swell without getting compressed inside the cast. The "bag of bones" philosophy of treatment for severe elbow fractures was common in the past and may still be applied when there are major risks to undertaking surgery. In this approach, no attempt is made to stabilize the fracture; instead the focus is on regaining as much movement as possible early in the recovery period. Movement gained in the first week after the fracture is hardly ever lost even if the joint is severely disrupted. The bone fragments heal in the position that allows this movement. The elbow function recovered after this type of treatment, however, is never normal and usually is much less than one can expect from surgery. Surgery is required for all open fractures, and recommended for displaced fractures of the epicondyles and coronoid process, for olecranon fractures, for nearly all intra-articular fractures of the humerus, for Monteggia fractures, and for displaced fractures of the radial head or neck. Open Fractures. Open fractures will require surgery as soon as possible after the injury. The operation includes cleaning out the wound by removing all dead and contaminated tissue including detached bone fragments (called debridement,) and then irrigating the wound to remove particles of dirt and drainage. It may not be desirable to close the wound immediately if this would increase the pressure on the recovering tissues so the wound is left open. Sometimes special antibiotic beads are placed in the wound to obtain a high local concentration of the drug. In many situations it is appropriate to undertake definitive treatment of the fracture at the same time as the debridement. If this is not possible, however, the wound is cleaned up first and work on the fracture is delayed, at times even for several days. Displaced avulsion fractures. Fractures of the epicondyles and the coronoid process are usually avulsion fractures. This means that the piece of bone was pulled off by a muscle or ligament. Usually, the fracture fragment is still being pulled away from the correct position after the injury. This may prevent the bone from healing back to the correct location when it is immobilized. If the bone fragment is not in an adequate position for healing, it should be replaced and fixed by surgery. 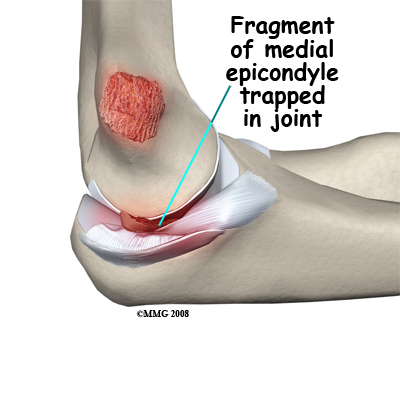 In the case of a medial epicondyle fracture, the bone fragment is sometimes trapped in the elbow joint. The joint must be opened up and explored to remove the fragment(s). If these injuries are part of a more complex combined injury, there is even more reason to fix them back into position. After stable fixation of these fragments, the elbow can more safely be moved to prevent stiffness. Activity should be guarded until the bone has healed. Olecranon Fractures. The fragments of this fracture are nearly always pulled apart by the pull of the triceps muscle. Surgery is indicated to restore the joint surface accurately and to fix the fracture in the reduced position. The olecranon process is just under the skin and easily exposed surgically. The fracture is often held in position by pins and a figure-of-eight wire. The elbow can be protected in a splint for a short period after the operation for comfort, but recovery of early motion without loading the elbow is desirable. The fixation is left in place until the fracture is strongly healed (usually 3 months). If the fixation is irritating or painful it can be removed once the fracture has healed. Capitellum Fractures. With this injury there is a high likelihood of intra-articular loose bodies that may jam in the elbow joint and damage it. The joint may be opened to retrieve the loose fragments or this may be done with an arthroscope. If the fragment is one large piece and has enough bone attached, it may be possible to fix it back in position with a screw buried into the bony part of the fragment. In this case it is often desirable to remove the screw once the fracture has healed. Healing may take some time as the bony part of the fragment has lost its blood supply (avascular) and is dead. The dead bone forms a framework on which new living bone grows to support the joint surface again but this takes time. It is not unusual to have a poor long-term result from a capitellum fracture with arthritis of this part of the elbow joint. Intra-Articular Distal Humerus Fractures: These are the most challenging fractures of the region to treat. Each fracture is different; however the rationale for most fractures is to restore the joint surface exactly then fix the joint to the shaft of the humerus securely. If the reduction is aligned as anatomically correct as possible it forms a stronger and better fix, but this alignment is not as important as the restoration of the joint surface itself where some inaccuracy is permissible. There are usually pins or screws extending from one condyle to the other, which join the joint fragments, and plates along the columns to fix the joint to the shaft of the humerus. 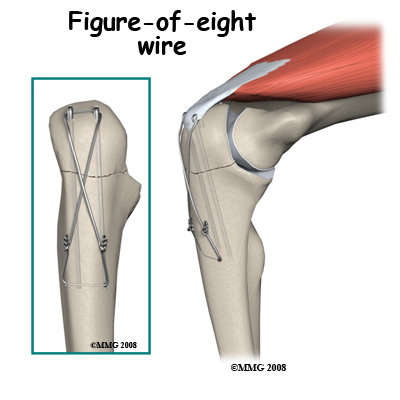 The fixation should be rigid enough to allow unloaded hinge movement of the elbow joint and rotation of the forearm. The earlier this is achieved, the better it is for the nutrition and recovery of the joint surface. The bone itself takes several months to heal and should not be loaded during this period. Often there are avascular joint fragments that take even longer to heal fully. As the fixation is just beneath the skin, it can be uncomfortable and it is common to remove the fixation once the fracture has healed and good function has been recovered. Monteggia Fracture of the Ulna. With a Monteggia fracture it is important to reduce the ulna fracture anatomically otherwise the elbow is prone to dislocate again. It is therefore recommended to do an ORIF operation on the bone. The shaft of the ulna lies just under the skin on the back of the forearm and can easily be exposed. The fracture is extended out to the correct length, re-aligned and rotated as necessary and is then fixed with a plate and screws. Often this treatment is all that is needed for the dislocation but if the radial head or neck is also damaged then this may also need treatment (see next section). When resting one's forearm on anything it is on the subcutaneous border of the ulna so the plate in this position is often very annoying. For this reason it is common for the plate to be removed once the injury has recovered and the bone has healed. Radial Head and Neck Fractures. Many of these fractures do not need surgery. However, where the broken segment of the radial head is large or the amount of angulation or displacement is significant it is better to do an ORIF operation. As the bone fragments of this fracture are small and have usually lost their blood supply, this is a challenging operation. The results from surgery to repair the fracture may not be that good. It used to be popular to remove the radial head completely when it was badly injured however this operation has been shown to affect the functioning of the forearm and wrist, so many surgeons attempt to preserve the radial head or in some situations replace it with a prosthetic head. In the case of radial neck fractures, the blood supply of the fragments may be intact. In these cases, closed reduction to restore the position may be a good solution, as the bone will heal. Unfortunately, any residual angulation at the neck may cause problems with rotation of the forearm. Total Elbow Replacement: Replacing the elbow with an artificial elbow replacement is the "fall-back" operation if treatment of an elbow fracture fails and the elbow is stiff, sore and arthritic. With some very severe elbow fractures one can see "failure" coming right from the beginning. A few surgeons advocate elbow replacement immediately if the elbow is fractured too badly to expect a good outcome with ORIF. If you have pre-existing arthritis of the elbow and a severe injury it may be worth discussing this option with the treating team. Bone takes six weeks to heal to 50% of its normal strength, three months to achieve 80% strength, and continues to get stronger for up to 18 months post injury. If casting was the primary treatment it may be continued for six weeks. After six weeks the ongoing use of braces or slings may be advisable for selected operative and non-operative cases. X-rays will be taken to assess the progress of healing and rehabilitation with a Physical Therapist at Barkman & Smith Physical Therapy will begin as soon as your orthopaedic specialist deems it appropriate to begin. Generally Physical Therapy can begin once the cast or splint is removed around 6 weeks post injury. While you are immobilized simple finger and shoulder movements, will be your only exercises. If your wrist is not fully immobilized, gentle bending, rotation, and gripping exercises will be encouraged. If you have had surgery to fixate your elbow fracture then rehabilitation at Barkman & Smith Physical Therapy will begin as soon as your surgeon recommends it. Again, based on normal bone healing, this is often around the 4-6 week mark. Surgical fixation aims to make the fracture site stable therefore in most cases the gentle exercises mentioned above for your fingers, wrist, and shoulder are safe to do early on and will often be recommended even immediately after surgery. In some cases, however, no exercise will be recommended until after the bone has shown some evidence of healing on X-ray; finger and gentle shoulder movements are the only exercises permitted. Each surgeon will set his or her own specific restrictions based on the type of fracture, the surgical procedure used, personal experience, and whether the fracture is healing as expected. Even if extensive Physical Therapy for your elbow does not begin immediately, at Barkman & Smith Physical Therapy we highly recommend maintaining the rest of your body’s fitness with regular exercise. If your elbow has been surgically repaired, maintaining general cardiovascular fitness can be done with lower extremity fitness activities such as walking or using a stationary bike or stepper machine. After surgical fixation, weights or weight machines for your lower extremity and opposite arm are also acceptable to use as long as the restrictions regarding your healing elbow fracture are strictly abided by. Generally, lifting even light weights with your injured limb will not be allowed and will be difficult as your elbow heals so you may require a friend to assist you with your workout setup if you are keen to continue while your bone heals. Your Physical Therapist at Barkman & Smith Physical Therapy can discuss the most appropriate way for you to maintain your fitness as well as provide a general fitness program specific to your needs while abiding by your doctor’s restrictions. When the cast is removed or following surgery, you may experience some pain when you start to move your shoulder, wrist, elbow and forearm. This pain is from not using the joints regularly and also likely from concurrent soft tissue injury that occurred when you fractured your elbow. If you have had surgery, the pain may also be from the surgical process itself. Your Physical Therapist at Barkman & Smith Physical Therapy will focus initially on relieving your pain. We may use modalities such as heat, ice, ultrasound, or electrical current to assist with decreasing any pain or swelling you have around the fracture site, anywhere along the forearm, or into the shoulder or hand. We may also use massage for the neck, shoulder, elbow, forearm, or wrist to improve circulation, assist with the pain, and make moving the entire upper extremity easier. The next part of our treatment will focus on regaining the range of motion, strength, and dexterity in your wrist, hand, elbow, and shoulder. If you have been casted or splinted, your arm will look and feel quite weak and atrophied once this is removed. Your Physical Therapist at Barkman & Smith Physical Therapy will prescribe a series of stretching and strengthening exercises that you will practice in the clinic and also learn to do as part of your home exercise program. These exercises may include the use of light weights or Theraband for resistance work of your wrist, elbow and shoulder. Soft balls or gripping devices may be used to encourage the return of your grip strength. Regularly measuring this strength with a hand-held dynamometer will be one of the ways we determine the progress of your rehabilitation at Barkman & Smith Physical Therapy. If necessary, your Physical Therapist will mobilize your joints. This hands-on technique encourages the stiff joints of your elbow, and wrist to move gradually into their normal range of motion. Early mobilization and range of motion exercises are particularly important in the rehabilitation of the elbow as without them, a fractured elbow can easily become stiff and lose important range of movement. Regaining the ability to bend your elbow and rotate your forearm is crucial in order to be able to do simple daily activities such as bringing food to your mouth or holding change in your hand. Regaining elbow extension, while also important, is not as crucial to the activities of daily living in comparison to elbow flexion. In other words, losing some extension of the elbow due to stiffness following an elbow fracture will not affect your everyday function as much as the loss of elbow flexion. That being said, for those participating in sport, loss of any elbow extension can be extremely detrimental to the functioning of their upper limb and can severely limit them in the participation of their sport. For this reason, the return of full elbow range of motion, in any situation, is one of the goals of Physical Therapy at Barkman & Smith Physical Therapy. We will keep a close watch on the improvements in your ability to bend and straighten your elbow as well as rotate your forearm by measuring these angles repeatedly over time. You will notice improvements in the functioning of your elbow even after just a few treatments with your Physical Therapist at Barkman & Smith Physical Therapy. As your range of motion and strength improve, we will advance your exercises to ensure your rehabilitation is progressing as quickly as your healing fracture allows. Graduated heavier exercises and endurance work will be added in concordance with the known healing time of bone in order to ensure these stresses can be withstood. As a result of any injury, the receptors in your joints and ligaments that assist with proprioception (the ability to know where your body is without looking at it) decline in function. A period of immobility will add to this decline. Although your elbow is not traditionally thought of as a weight-bearing joint of the body, even an activity such as assisting yourself with your arms to get out of a chair, pulling a glass from a cupboard, or pushing a door open requires weight to be put through your elbow and for your body to be proprioceptively aware of your limb. If you are an athlete, then proprioception of your upper extremity is paramount in returning you to your sport after an elbow fracture. For this reason, proprioceptive exercises will be part of your rehabilitation regime at Barkman & Smith Physical Therapy. Proprioceptive exercises might include activities such as rolling a ball on a surface with your hand, holding a weight up overhead while bending and straightening your elbow, or pushups on an unstable surface. Advanced exercises may include activities such as ball throwing or catching. For athletes we will encourage exercises that mimic the quick motions of the sports or activities that you enjoy participating in. Your Physical Therapist at Barkman & Smith Physical Therapy will liaise with your surgeon regarding the optimal time to start any of these advanced proprioceptive exercises. Generally, the strength and stiffness one experiences after an elbow fracture responds extremely well to the Physical Therapy we provide at Barkman & Smith Physical Therapy. In regards to returning to activity, most elbow fractures require some limitation of activity for at least three months. People who undertake heavy manual labor or participate in sports that load the arms may take considerably longer. As explained above, some elbow fractures are more complex with joint surface damage, multiple bone fragments, or lost blood supply to bone fragments. These complexities all cause the process of healing and rehabilitation to take longer, and full recovery of range of motion and strength is not always possible which then affects the overall long term functioning of the joint. Fortunately in most uncomplicated elbow fractures your elbow will return to near normal levels of performance. With our initial one-on-one Physical Therapy treatment along with the ongoing exercises of your home program, the strength, range of motion, endurance and proprioception gradually improve towards near full recovery/function over a period of 4-6 months even though the actual final stages of bone healing won’t occur for another 12-18 months after that. If, however, during rehabilitation your pain continues longer than it should or therapy is not progressing as your Physical Therapist at Barkman & Smith Physical Therapy would expect, we will ask you to follow-up with your surgeon or doctor to confirm that the fracture site is tolerating the rehabilitation well and to ensure that if you have had surgery, there are no hardware issues that may be impeding your recovery. Complications are problems with the process of healing of your fracture. The aim of health care professionals is to manage the treatment of fractures in order to avoid complications. Here we will consider the complications that are most common to elbow fractures. Injury often causes bleeding into a joint. This blood clots (coagulates) but remains in the joint. Eventually the clot is transformed into scar tissue. If the joint remains immobile while this scar tissue forms, it will adhere to different parts of the joint and bind them together (adhesions). This will result in loss of range of motion (stiffness) of the joint and sometimes pain when the scar is stretched. Malalignment of a complicated fracture can also result in joint stiffness. As mentioned above, if optimal restoration of the joint surfaces and anatomical alignment cannot be achieved due to a complex fracture, this will also result in a stiff joint. Unfortunately, some stiffness cannot be avoided as in most cases the bones need to remain immobile while they heal. Excessive stiffness and range of motion loss is a problem and interferes with the normal functioning of your elbow. Physical Therapy at Barkman & Smith Physical Therapy will help to avoid any unnecessary stiffness developing in your elbow. At the earlier stage of healing the tissue has less strength and can easily be stretched. Later on in the healing process, the tissues become stronger and more resistant to stretching and can also be more painful to stretch. Thus, regaining early motion (as allowed by your doctor and Physical Therapist) is the best form of treatment to avoid elbow stiffness. Avoiding the long-term complication of stiffness is the reason that you are urged to move a sore elbow, which you would much rather keep still. As mentioned above, the hardware required to stabilize an elbow fracture is often close to the skin’s surface as there is not a lot of muscle bulk around this joint. A secondary operation of "hardware removal" may be needed if this hardware is causing symptoms or is thought to be restricting the movement of the joint. The prospect of an operation for implant removal is worrying to patients who fear that it will be as painful as the original fracture treatment. Much of the pain from the original fracture, however, not only comes from the fracture but also from torn muscles, broken bones, and bleeding. Since the bone and muscle damage have both healed by the time of the second operation, the discomfort after hardware removal is much less and recovery is rapid. The operation does need an anesthetic but can often be done as outpatient, or day surgery. If the bone heals but the fragments are not in the correct position the fracture is said to be mal-united. 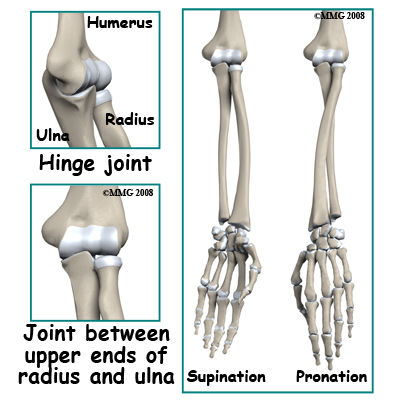 Often this can be accepted, but in the case of joints, malunion is something preferably avoided in order to ensure that maximum range of motion returns to the joint. In addition, ridges, steps or other irregularities in the joint surface are very likely to cause wear-and-tear arthritis (post traumatic arthritis) down the road. Surgery has the best chance of avoiding this complication, hence why it is so often recommended for intra-articular fractures. It is not guaranteed, however, that the surgeon can restore the joint surface to smoothness or that the fixation will hold everything in place. Trying to achieve perfection through surgery may lead to even more problems and it may be necessary to compromise in order to get the best overall result. Malunion of the joint gives varying symptoms of clunking, catching, or giving way. Fortunately it may be quite silent clinically (not noticed by the patient) and only be evident from examination of the x-rays. The management of malunion is complex and depends very much on the individual case. 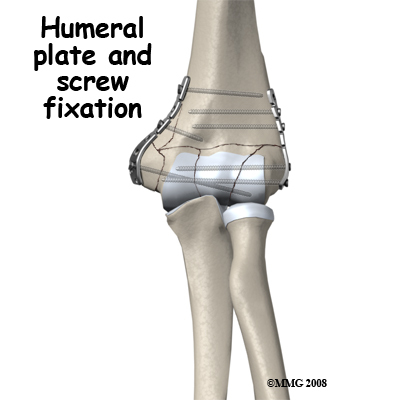 If there is early failure of fixation and it is clear that the joint surface will be irregular if it heals in the current position, a re-operation may be indicated. Once everything has healed it is a major undertaking to take down a united fracture and recreate the joint surface. This procedure amounts to a new fracture and is not be undertaken lightly. More often one would accept the malunion and later treat any subsequent symptoms arising due to it (see post traumatic arthritis below). After an open fracture there is a small risk (2% or less) that the contamination at the time of the injury will result in a bacterial infection of the surgical site. If the wound remains swollen, tender, and red longer than normal an infection must be suspected. A fever may occur and pus may accumulate in the wound or drain from it. Your doctor and Physical Therapist will closely monitor how your surgical wound is healing to watch for these signs of infection, which require immediate attention. A culture of the pus or blood cultures may isolate the bacteria causing the infection. High doses of antibiotics for an extended period are required if an infection is present. If there is an infection it is often necessary to repeat surgery to remove contaminated and non-viable tissue, wash out the wound and drain it. Antibiotic beads are often placed in the wound so there is a high local concentration of the drug. With early aggressive management it is usually possible to suppress or eliminate the infection until the fracture heals. At that point removal of any remaining metal implants usually allows the infection to heal completely without long-term consequences. Where an infection of bone is incompletely resolved, it may be quiescent for some years and flare up later when the patient is stressed. Under certain circumstances scar tissue that forms in injured muscle turns into bone. The exact reason for this is not known; it seems to be related to an inflammatory process. Risk factors include surgery and seeding the area with bone fragments and immobility. Since elbow fractures can tear muscle, often spread bone fragments into the muscle, and are frequently followed by surgery it is not surprising that this complication is relatively common at the elbow. If HO develops the patient experiences pain and swelling at the elbow in excess of normal but does not have signs of infection. There is an increasing stiffness and eventually bone shows up on x-ray in the tissues outside the normal area. The pain and inflammation settle down but the bone remains and may block movement. Further surgery to remove the bone risks flaring up the process. Methods to avoid this complication include Non Steroidal Anti Inflammatory medication (NSAIDs) and radiation. Both these have side effects to a degree that they are not used routinely to protect against heterotopic ossification however they may be used in high risk cases. Management consists of maintaining as much movement as possible until the inflammatory period has passed. After about 18 months it is then possible to do surgery to remove the bone without flaring up more HO. This complication has been mentioned frequently in this guide. If the elbow joint suffers damage to the articular cartilage, if the joint surface is irregular with pits, ridges, or gaps, or if the elbow is kept immobile for a prolonged period wear-and-tear arthritis of the joint is sped up. The joint becomes aching and painful to move and it may lose range of motion or grind or grate. An x-ray shows loss of the gap between the bones of the joint and may show spur formation. In addition, loose bodies may form in the joint. In functional terms the elbow becomes painful to use, weaker, swollen, and stiff. The first line of treatment for elbow arthritis is medication, pain relievers, and NSAIDs. Sometimes an operation to remove spurs and loose bodies is helpful. In progressive cases an elbow replacement is the best solution. Fractures of the elbow include a spectrum of injuries from quite minor fractures that heal well with minimal treatment through to complex injuries affecting the joint and causing major loss of function. The aim of treatment is to restore a smooth joint surface as soon as possible and enable early motion. If this is successful the outlook for these injuries is favorable.